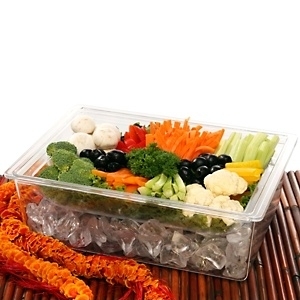 The Aloha Chill’R is specifically design to keep your food & pupu’s looking & feeling cool. It’s a simply, practical, and elegant serving dish that will keep your guest coming back for more. This wonderfully designed Aloha Chill’R is made to perfection with one of the highest grade of acrylic available, which is extremely durable, and will last for years. Perfect for after ball games, picnics, tailgates and small get together’s.